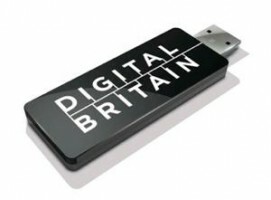 The publication of the government’s Digital Britain strategy, compiled by Lord Carter and released amid a great deal of hype in June 2009, fails to address the real issues facing the British media in this new broadcasting era. It represents a most serious missed opportunity for a country seeking to play a major role in the future digital economy. There are elements of the report Equity can welcome – the concern to increase access to broadband so that everyone can share in the benefits of the new digital era and the focus on putting greater pressure on those who steal copyrighted material – though even here we believe the government could have gone further, faster. But these positive aspects are more than outweighed by our disappointment at what is missing from the core of Lord Carter’s report – a recognition of the crucial importance of unique content production (and especially drama production) as the driving force for the spread of technology and the key to economic success in the digital economy. The public service tradition of British broadcasting has contributed to our worldwide reputation for producing programming of the highest quality – programmes that not only enhances our own cultural experience but which have made a major economic contribution through overseas sales and licensing. Digital Britain offers nothing to promote UK drama production and risks fundamentally undermining the key public service broadcasters. Infrastructure is useless unless there exists high-quality content which people want to access and which creates a market for more services. Digital Britain commits the government to encouraging the take-up of broadband technology and new high-speed networks and to create an audience that is comfortable with using that technology. There is no surer way of achieving both goals than ensuring that those networks provide access to high-quality, must-see content – and Britain’s long reputation as a creator of some of the best dramas in the world puts us in a uniquely advantageous position – but one which Lord Carter’s report entirely ignores and which the government seems determined to squander. The report contains no commitment to new investment in UK production – rather it threatens to spread funding more thinly and reduce already falling levels of original content production by sharing the licence fee across two public service broadcasters. Equity welcomes the commit-ment to drama and children’s television within the new remit for Channel 4, but we are concerned that no clear picture has emerged as to how this will be financed and the union is not opposed, in principle, to a second public service broadcaster providing the BBC with competition. However the union believes this competition should be based on quality of output not on a scramble for the same pot of funding. Equity is opposed to plans to share the BBC licence fee with other broadcasters and does not believe that the merger of Channel 4 with BBC Worldwide provides a viable model for a public service broadcaster creating high-quality content in the future. If such competition is to benefit the viewing public and to form the basis of a vibrant digital economy then new money for serious investment in expanding our national capabilities as a producer of content must be found. Traditional sources of funding are under pressure so Equity favours the exploitation of new sources. We believe that some companies – broadcasters such as Sky and internet providers like YouTube or Google – are benefiting from public service programming while contributing nothing, or very little, to the industry in terms of new production and employment. We believe that levies on such companies would represent a simple, easily enforceable and demonstrably fair way of raising additional funding. However the money is found, the simple truth absent from Lord Carter’s report remains obvious. All the high-speed cables in the world are worthless without material that the public want to download. Whether that material is made in this country or others will be the key battleground in digital economy. A report that seeks to lay the foundations for the future while ignoring this fact is fundamentally flawed. A report produced for the NUJ and BECTU by the Institute for Public Policy Research (IPPR) makes a powerful case for the introduction of a system of levies. Mind the Funding Gap notes that Britain’s public service brands – BBC and Channel 4 – are popular with the public and internationally respected. Successful initiatives such as the BBC’s iPlayer demonstrate that public service broadcasters (PSBs) can lead the way in online innovation and drive the take up of digital technologies. Public service content remains an important part of the services sold by Sky and VirginMedia, the five major mobile phone operators and online service providers. A one percent levy on their revenue would raise almost £280 million per year. The IPPR report recommends that the government put aside money raised from the auction of the areas of the radio spectrum currently used by analogue television and use the money as a one-off “windfall” fund to support a public service future. Professor Patrick Barwise told a Federation of Entertainment Unions conference that a small levy on telecoms and technology companies could have a major benefit. The total revenue of UK broadcasters (including Sky and VirginMedia) was £12.4billion in 2007 but in the same year consumer spending on telecoms and the internet was over £27 billion with another £20 billion spent on hardware. The BBC receives the smallest slice of available money but is responsible for over 90% of the UK’s investment in original production. Pay TV, telecoms and the internet use this content to build their service but contribute little. A modest levy could ensure that they properly contribute to ensuring that that production continues and even thrives in the future. The government aims to make it easier for companies such as BT and Virgin Media to extend high-speed communications networks and to look at whether subsidies will be needed. The government will also encourage local initiatives to introduce high-speed networks. Encourage mobile phone operators to make better use of their networks and encourage network sharing. It will also encourage mobile phone companies to expand their broadband coverage. The process of switching to digital television across the UK is, in the report’s estimation, going smoothly and it looks forward to using the money put aside to encourage switch-over to promote other services. The government says it is committed to making digital radio the primary radio service and setting up a migration plan from AM and FM to digital, but there are no dates and there will be an investigation of potential costs. The government recognises the challenges a digital economy makes to producers of music, movies and games. The report promises legislation to tackle piracy and places a duty on internet service providers to reduce illegal sharing of material by 70 per cent. It will also look at ways of encouraging users to access legal sources of copyright material. The government will look at whether people are willing to pay a “modest” fee in terms of levies to offset the costs of piracy. The government will carry out a review of local and regional media, examine whether the relationship between independent producers and broadcasters needs to be reformed and consider creating a second public service broadcaster – using existing funds – to provide the BBC with competition (possibly merging BBC Worldwide with Channel 4). The government wants every home to have a minimum 2mbps broad-band access by 2012 and to make broadband access part of the universal service obligation. It wants the BBC to lead the way in encouraging people to take up broadband and to create a national literacy plan. This entry was posted in Feature and tagged arts, equity, New media. Bookmark the permalink.